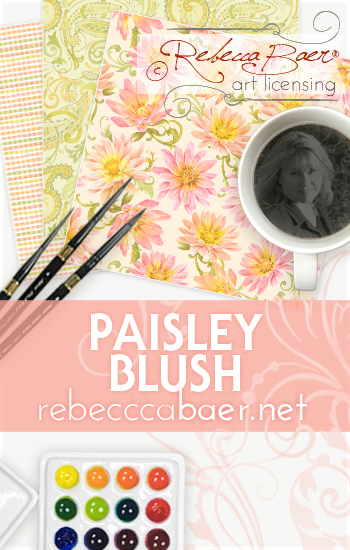 Paisley Blush, a soft and delicate watercolor collection featuring warm pink and peach dahlias along with hand painted coordinating patterns. A few images are shown to present a glimpse of the style included in this group. 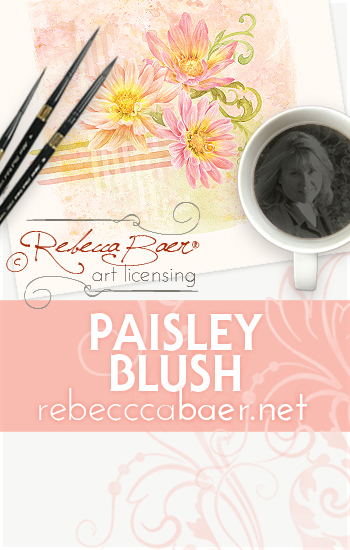 Art Directors and Licensees can request access to view the full collection.